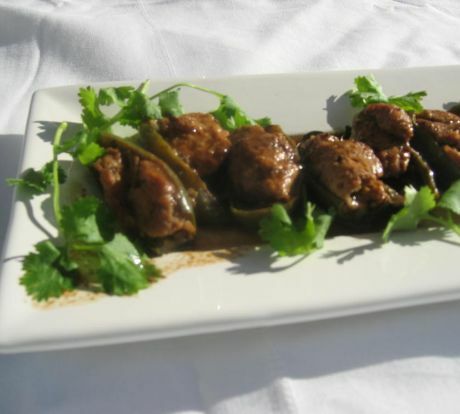 In California Jalapenos are available at the supermarket year round. I selected this dish because I saw Martin Yan prepared in on TV and I thought it looks so easy and so fast to prepare so I decided to give it a try. 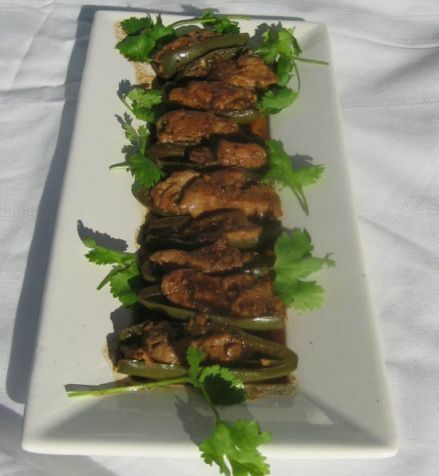 The slight heat of the Jalapenos beautifully compliments the aromatic ginger and black bean sauce. 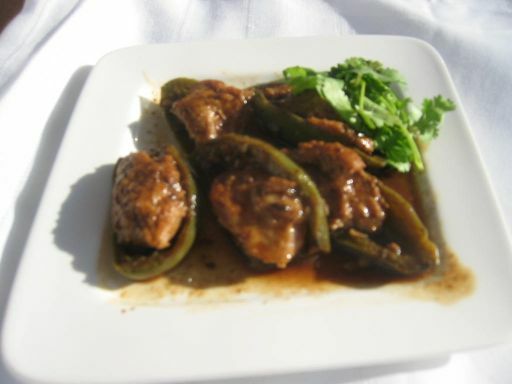 The dish is so good with a hot bowl or white rice and lots of sauce on it. 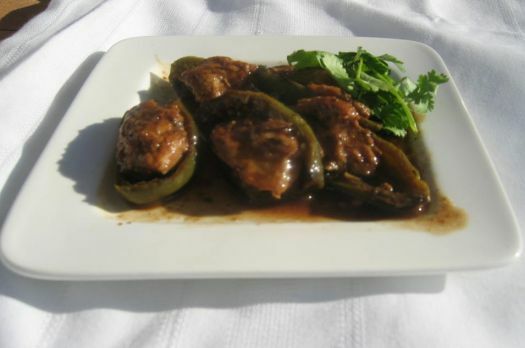 The Jalepenos are just perfect for this dish! 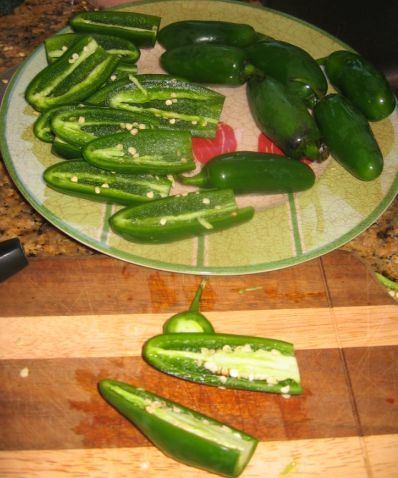 Jalapenos are cut in half lengthwise and the seeds and loose flesh are scooped out. 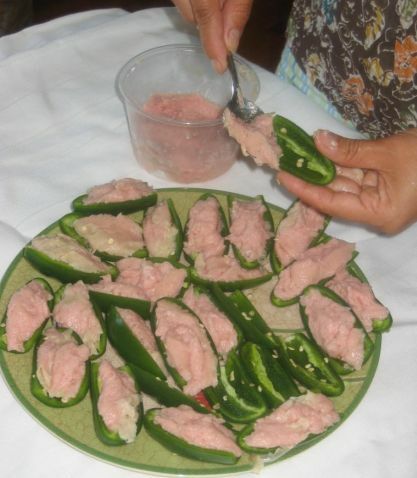 Stuffing the Jalapenos with fish paste. 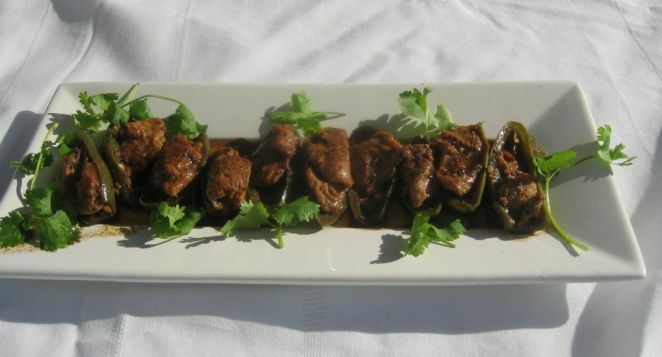 The fish paste is marinated with fresh chopped ginger, garlic, salt, sugar, a egg. 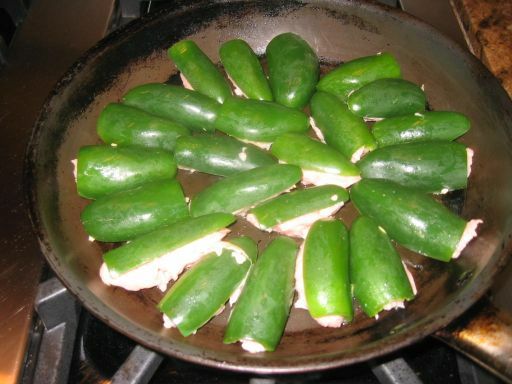 In a hot lightly coated with oil, I am putting the stuffed Jalapenos sides down until turning golden brown. 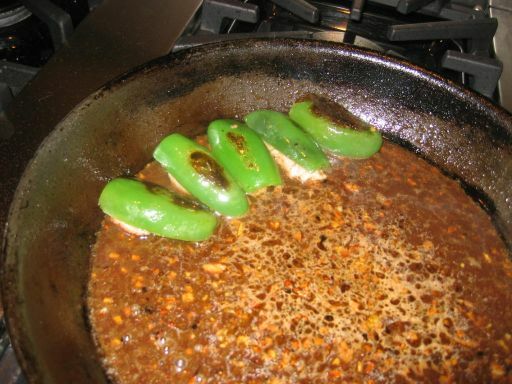 The Jalapenos are now golden brown and will be removed from the pan and put aside. 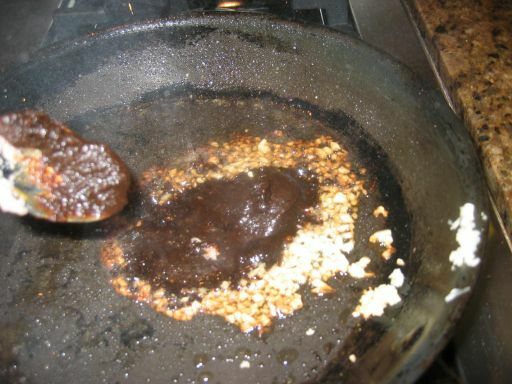 I am making the sauce by adding chopped garlic, black beans sauce and water. 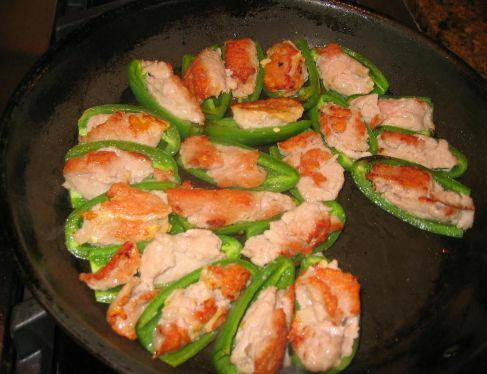 Once the sauce is bubbling, the stuffed Jalapenos are returned to the pan and will be cooked until about 5 minutes or so.